Greetings fellow Chivistas and welcome to the ‘Bold Goat’ a no holds barred blog dedicated to all things Club Deportivo Guadalajara. We will recap all the latest news and chismes with enough good ol’ fashioned blunt force trauma, heavy-duty, cast-iron, chiva-powered, piledriving punches to rattle your inner fanboy. So crack open a great tasting, less filling, Chiva~Cola as we get ready to highlight an action packed week that saw the club qualify to the Copa MX final, return to Televisa and defeat Puebla with a thrilling come from behind win! Since the arrival of Matias Almeyda to Chivas hot seat his number one client (whipping boy) has been Monterrey boss Antonio el Turco Mohamed. 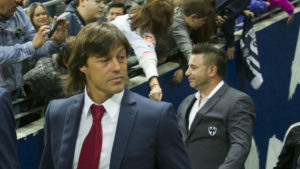 Out of five games disputed, including the recent Copa MX 2-1 Semifinal win, Almeyda has racked up four wins and one draw. Perhaps the most memorable of the games was the Clausura 2016 match in which Chivas handed the Rayados their first defeat of the season, in their new stadium, in what turned out to be the unveiling of Javier ‘La Chofis’ Lopez! Chivas qualification to the Copa MX final will be the club’s fourth final since the cup was restored five years ago. In their first final (Clausura 2015) Chivas fell 4-2 against Cuauhtemoc Blanco’s Puebla and then defeated Leon 1-0 in the following Apertura tourney. The Apertura 2016 Cup final was lost via penalty kick shoot-out after a scoreless draw against Queretaro – who won their first ever Liga MX tourney under el ‘Rey Midas’ Victor Mauel Vucetitch. This final will be the first one that Chivas gets to host. “I am happy because we are in another final and it will be the first one at home; more so because it was against a complicated rival like Monterrey with their offensive prowess, great coach and great valor from players keeping in mind that we were losing,” said Almeyda after the semifinal match. Much like the prodigal son who squandered his inheritance in his venture abroad and had to return home Chivas has once again signed with media conglomerate Televisa. Less than a year ago, eleven months to be exact, Jorge Vergara shocked old and new fans alike when he terminated a 22 year partnership with Televisa to announce the creation of Chivas TV: the club’s online streaming service. “What I guarantee, especially to the fans, is that they will be able to see Chivas in a very different way, unique, that has never been seen before. What is coming will be spectacular,” promised Vergara. This promise was similiar to Vergara’s claim 10 years ago that he would bring ‘futbol’ to the MLS with his now defunct Chivas USA franchise. 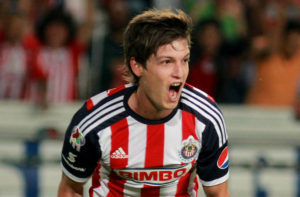 Instead of a competitive team Chivas sister club ended up being composed of a one legged Ramon Ramirez, a fractured Pulpo Zuniga who after playing only five minutes in the inaugural match got injured and had to retire and a crop of youngsters from Guadalajara’s youth squad that either got home sick or lacked the talent to succeed. Chivas TV was just as bad with constant streaming problems ranging from frozen images, audio and visual lag, to losing the signal. The bad quality of Chivas TV transmissions brought several fines from PROFECO (the Federal Prosecutor for the Consumer). Worse, however, was the loss of sponsors and audience. “We will increase our audience. We will have more possibilities to sell publicity and will grow little by little,” the Chivas Supremo said in an interview with Milenio. The reality, however, turned out to be much different. 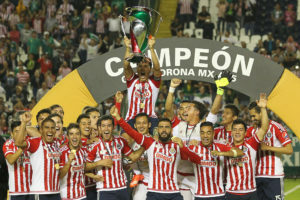 Chivas, which had an estimated 11 million viewers on Mexico’s free-to-air television, only counted with around 150 thousand Chivas TV subscribers. It is unknown how many were paid subscriptions. Instead of bringing in more publicity Chivas suffered the loss of it’s main sponsor BIMBO, the worlds largest baking company, who filed a lawsuit against the club claiming that changing the broadcasting format was a breach of contract. Vergara also dropped Chivas parent company Omnilife from the stadium’s name in hopes of finding another sponsor but was not able to find any buyers. So, it is safe to say Chivas return to Televisa and extending Univision’s rights for one more year have to do with the club losing funds. The Copa MX final against the mighty Monarchs of Morelia will be exclusively on Chivas TV. Hopefully, it will be their last hurrah. Chivas match week 13 game against Puebla, at home at Chivas Stadium, appeared to be headed down the drain with the club losing two-nil by the end of the first-half. However second-half heroics from Alan Pulido, who scored 10 minutes into the restart, and Carlos Fierro helped Chivas earn a thrilling three points. In the 93rd minute, with the score leveled, Pueblas keeper Cristian Campestrini looked to take a goal kick and did not realize that Fierro was behind him. Campestrini put the ball down and a cheeky Fierro came in from behind him and stole the ball and the match. “Every game I enjoy it as if it were my last as if it was the best moment of my life. 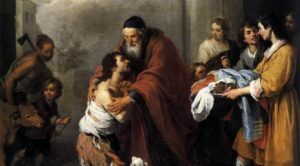 I always try to help, be it five or ten minutes, as substitute or a starter. I enjoy playing football any amount of time given, in League or Cup, I am proud of all of my teammates. Step by step we have been getting results, we are on top again in another Cup final and we have our feet planted in the ground we just need to add the cherry on top of the cake, obviously we are hopeful of doing the double,” Fierro told reporters after the match.